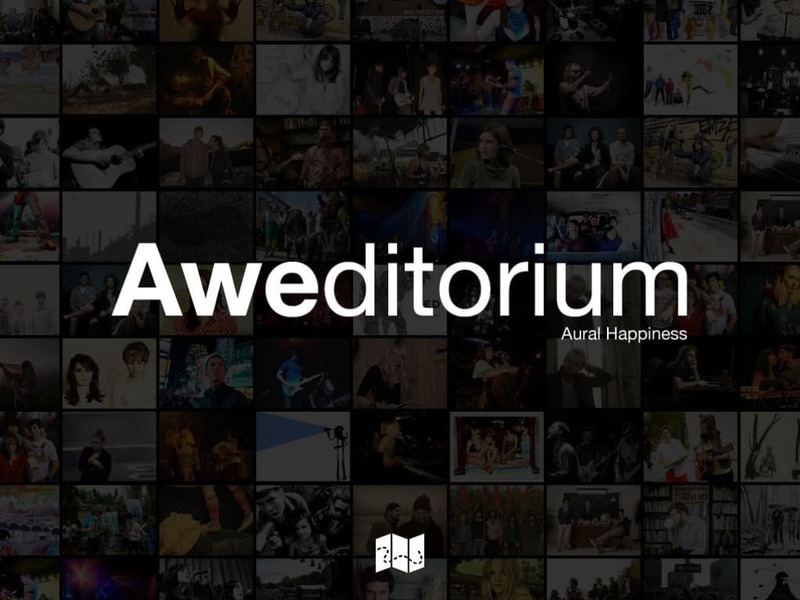 Aweditorium is a music discovery app for the iPad. It creates a huge quilt of artists for you to discover, with songs, stories, photos and interviews. This app is for people who like exploring, but not for those who like searching! You can't search in Aweditorium, simply navigate around a sea of unnamed images that come to life when tapped. When you open Aweditorium, you are presented with a huge grid of thumbnail pictures, which you can drag around with your finger. 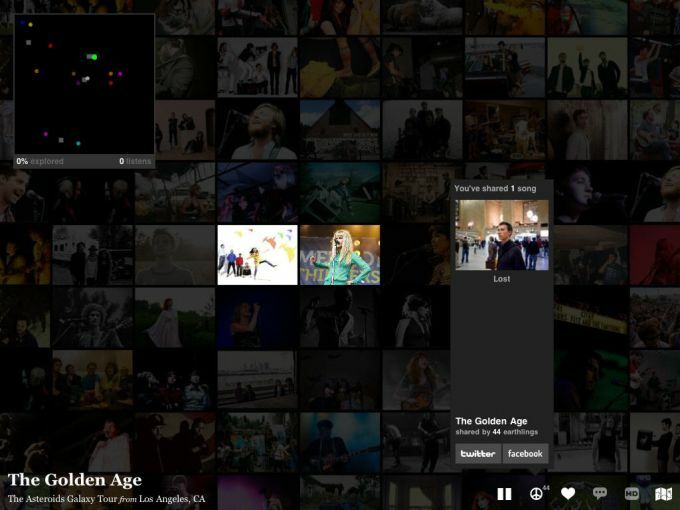 Tap one, and you'll zoom into a high definition photo of a group or artist, and a track will play. 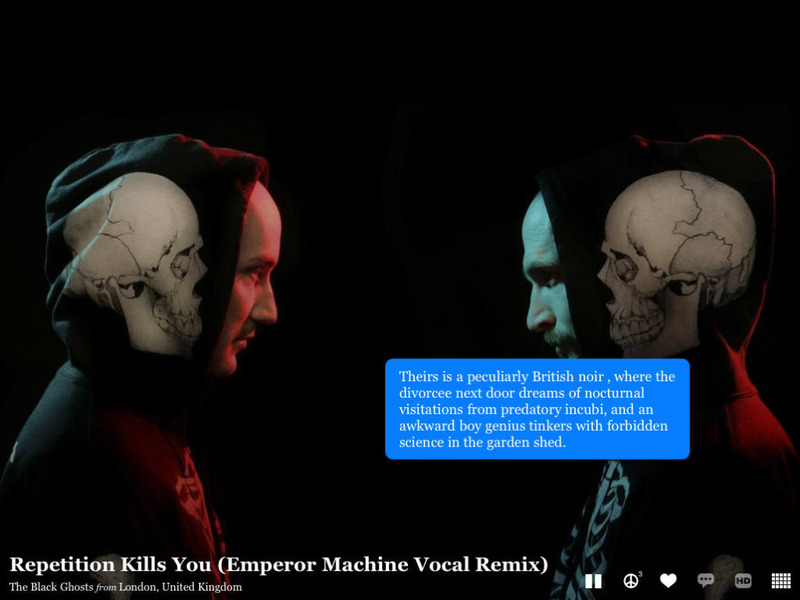 As the track plays, pop-up bubbles appear, giving you information about the artist you are listening to. Tap the image for these to go away. Tapping also brings up a menu where you can 'love' a track, and tell your friends through Twitter or Facebook. Where available, Aweditorium also provides links to YouTube videos. It's unclear how often the artists are rotated or updated, but there's so much music in it that Aweditorium should keep you occupied for many hours. 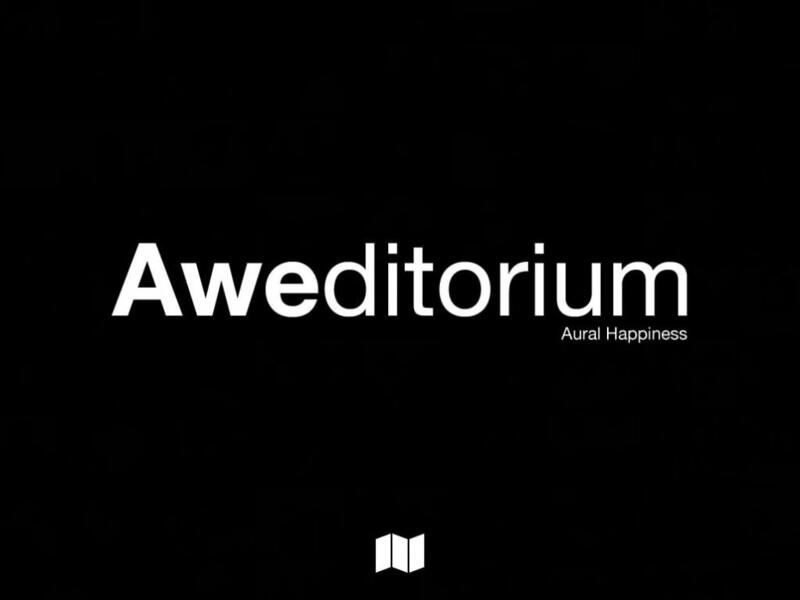 For people curious about discovering new music, Aweditorium is a neat app. However, the music included is very alternative, and while there is a range of genres, it's pretty much all hairy young things with guitars. 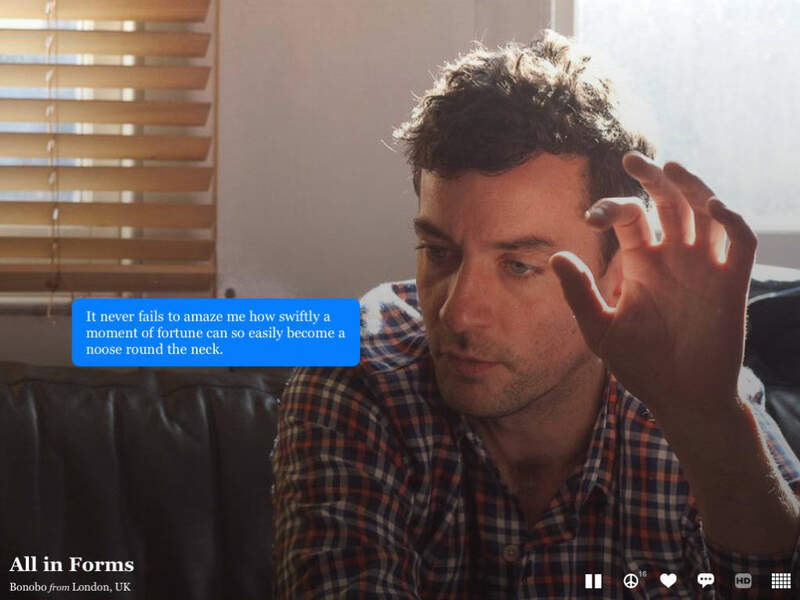 It's ideal for Pitchfork readers. 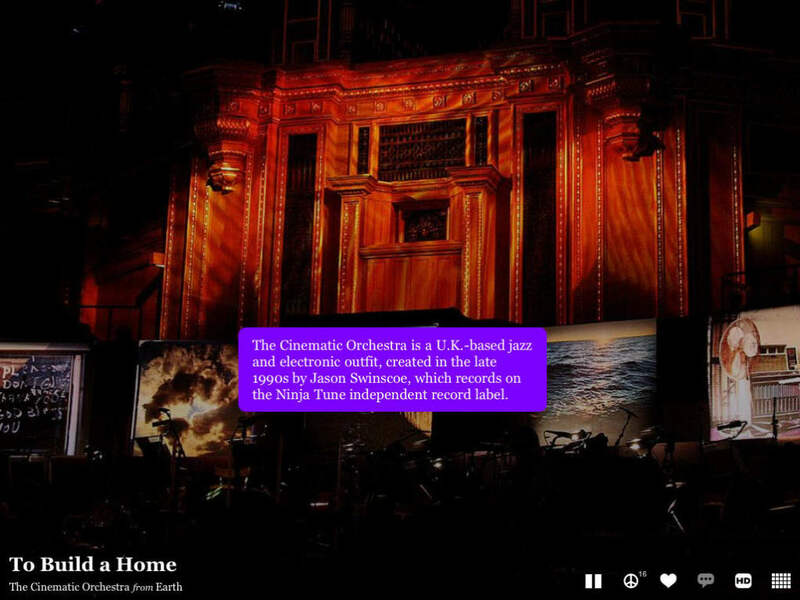 Aweditorium is a beautifully presented music application, and as long as it fits your musical world, it's an interesting and relaxing app to use. What do you think about Aweditorium? Do you recommend it? Why?